Page Recreational Sports getting into gear for the summer. 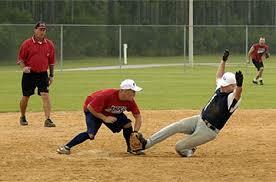 Adult softball leagues start May 21st and run through the end of July. Softball Clinic for grades 6 through 12 May 29-June 1. The Summer Rec Fest May 31st, British Soccer Camp June 4-8 and Youth Basketball Camp June 11-21. For a full list of upcoming summer events, camps and clinics visit the Recreation Department here.